Having children is a full-time job, and it can be especially daunting to look in to daycare and preschool options. 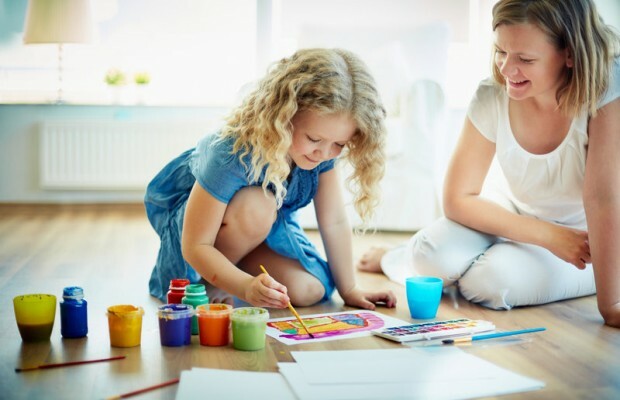 There are many choices parents have when it comes to childcare, from a home or center daycare, preschool, in-home nannies, relative care, or staying at home. Know that whatever choices parents makes for their childcare, there is no right or wrong answer, only a solution that works best for their family. One familiar choice when having a child is the option for one parent to stay home and not utilize any outside care. There’s no extra cost, but there can be a significant loss of income. Many parents who choose this route see the benefits of hands-on parenting, the ability to be fully present in their children’s developmental years, and appreciate being able to raise their children with specific parenting philosophies, without being second guessed or having to reason with others. The obvious pitfalls for stay-at-home parents resides in the lack of socialization, for the parent and the child. All peer interaction for children must be arranged, and it can be difficult to find other stay-at-home parents to meet with. For a similar level of care without the parents staying at home, relative care is an extremely viable childcare option. Relatives have a personal interest in the child, are loving, and are often extremely cost effective. But relative care does run the risk of differing rearing opinions, strained relationships, and mismatched goals. For parents who choose not to stay at home, there are three specific options to look at: relative care, daycare, or nannies. Nannies are often the most expensive choice, at $500 to $700 per week. This one-on-one interaction gives the child personalized attention and allows the child to stay in a known and safe environment, without a parent having to stay home. Nannies are often more flexible than daycare centers, but offer no backup like an part-time worker if they become ill. 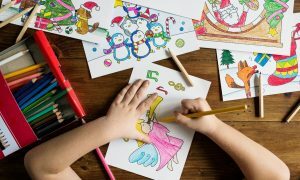 It can be extremely expensive to hire and pay a nanny, not to mention the extensive paperwork, but many families find peace of mind in this childcare options. Daycares are the most common choice for most working families when it comes to childcare. Whether a parent chooses a home or center daycare, they can rest assured that all day cares are licensed and regulated by the state, with trained and certified staff, and will give their child the most peer interaction possible. Daycare is reliable, mandates vaccinations for all children and staff, and is a more affordable option for many parents. Home day cares can be just as nurturing as in-home nanny care and allows parents the most flexibility with pick-up and drop-off times, so parents can create a schedule that works best with their needs. But such centers often lead to child illness, and it can be extremely difficult to find a child care provider with openings, especially for infants. For younger children, namely those under two years of age, a preschool is not an option. Like most schools, a preschool is state regulated, gives the child structure, and offers appropriate education and learning curricula. In addition, all the teachers are trained in childhood education. But preschool runs the risk of sicker children, less-personalized education, and inflexibility for working parents.